With Golden Demon 2014 done and dusted my personal painting calendar has reached the end of another year. So a new painting year has begun with all the potential of a fresh start. Having a schedule of painting competitions spaced through the year has really helped me to focus and structure my hobby. For the most part I’ve found it a positive experience to have this ‘driving force’ to help me keep up some momentum. But recent experiences have also taught me that it’s all too easy to become a little too driven and too focused on competition results and deadlines. At the end of the day, I paint minis because I love to paint minis - and that has to remain my main motivation. So I find myself at the start of a new project with all the buzz and excitement that always brings me! I’ve been quietly pondering the idea of painting a Nurgle themed mini of some sort for a while now. I’ve got (very old) history with Nurgle and there have been so many developments in the hobby and in my own painting since 1990! I’m quite excited to find out what I could do now. 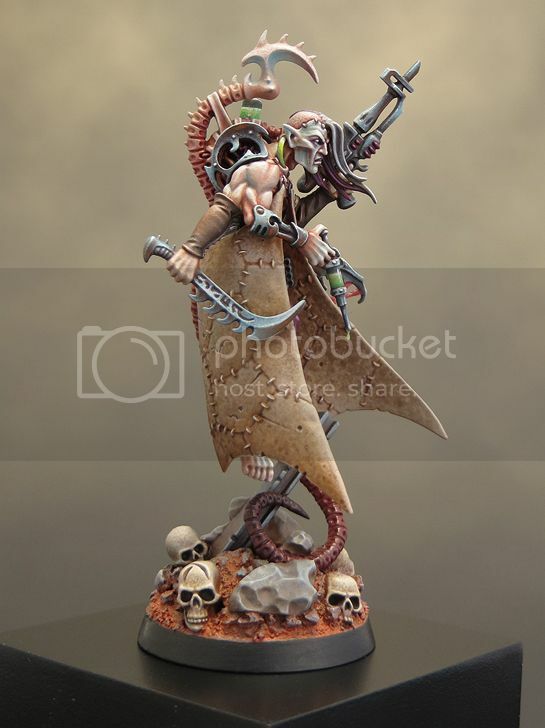 When Games Workshop previewed Gutrot Spume, and the Putrid Blightkings, at Warhammer Fest, they had me hooked and reeled me in right there and then! My initial feeling is that I’d quite like to see if I could paint a unit for the first time ever. The minis are so varied that my usual reservation about painting lots of the same thing doesn’t seem valid. I may change my mind about this as the project progresses and maybe ‘Project Nurgle’ will end up as a diorama, or even just a single mini. But aiming for a unit seems to be a good place to start. I also intend to try and pace myself over the year with this one, enabling me to slip in a couple of other projects, between Nurgle minis. As I said earlier It’s a new painting year full of potential. Reality can (and will) kick in later, but this is the time to get ambitious. Reading the background for Gutrot Spume has provided the spark of an idea for how I’m going to approach these minis. So it’s time to get nautical! Gutrot Spume (I love that name!) 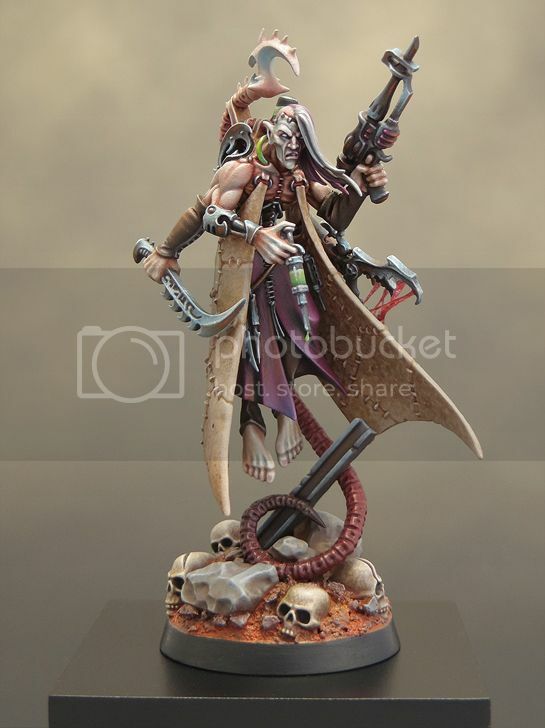 is the master of the plague fleet and it’s from him that I am taking my main inspiration. 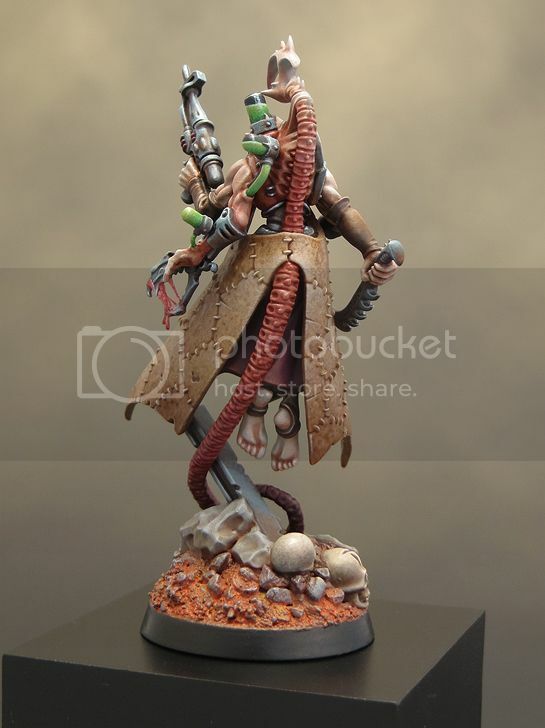 I’d like to include a little conversion work in the project and I can already feel a generous distribution of tentacles coming on among the Blightkings. Tridents may also play some part in the proceedings. 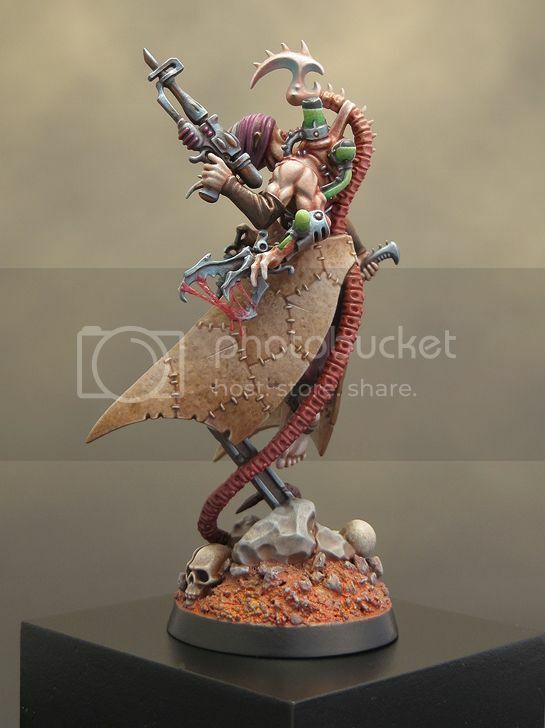 I’m particularly enthusiastic about getting a nautical ‘horrors from the deep’ feel to the painting and colour scheme while still remaining true to an overall Nurgle palette. There is plenty to work with here and I need to pull it altogether into a coherent and consistent whole. First of all I’m going to paint Gutrot Spume himself. This makes sense to me as he will be setting the tone for the entire project. I’m not doing too much conversion work on the mini, however, I have decided to swap his axe for a trident to add to the nautical feel of the mini. At first I considered putting something together from parts of other minis but I have now decided to build a trident from scratch. Taking a lead from the shape of the spikes on Gutrot’s shoulder. I put together a design for the trident in Adobe illustrator. I then printed this out to and glued it with PVA to a piece of plasticard. Rather than trying to cut this shape out straight away I made the job a little easier by drilling holes all around the edges before cutting along the dotted line. The resulting trident is crude to say the least but it can then be trimmed, carved, filled and sanded down to refine the shape. The pictures below show the main stages of the process. The final picture is an initial test fitting of Gutrot and the trident. I want to spend a little more time refining the trident but I’m happy with the progress so far. Congratulations to all the winners at Golden Demon 2014. There didn't seem to be quite as many minis in the cabinets as previous years; but I thought it was a tough competition with a really high standard across all the categories. I'm so glad I decided to paint myself out of my post Euro blues by going into the Golden Demons. It was a lot of hard work in a short space of time. But I gained a great feeling of achievement by simply getting the mini to a state where I was happy to enter it into the competition. 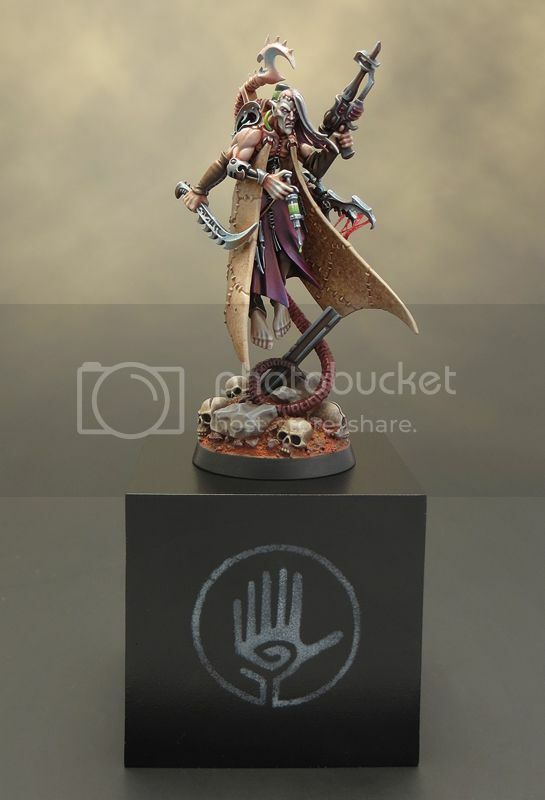 I didn’t think I stood much chance of a win, so I'm completely over the moon about getting a Bronze Demon for my Haemonculus. I'm now feeling really hyped up for next year's painting projects and I've even decided on what I'd like to paint for GD next year. There’ll be no more last minute projects from me for quite some time! It's been years since I've painted any Nurgle minis but the Putrid Blightkings and Gutrot Spume are saying 'paint me' loud and clear! Sorry for the lack of updates on my self imposed two week mini painting challenge for Golden Demon - I've been very VERY busy painting! So a painted mini in two weeks .... done! I'm very pleased with what I've been able to achieve. There are lots of things I would have done diferently, and I hope better, if I had taken more time. But my goal was to paint a mini in two weeks that I wouldn't be ashamed to bring to Golden Demon, and I've pulled that off. I wouldn't do this again in a rush as the pressure was a bit much at times. But as a one off challenge to myself it was an 'interesting' experience; and it's good to push yourself sometime to see just what you can acheive.